The huge success of shows such as The Voice and the Idol shows worldwide has done a great thing for young singers- it has given them hope. Hope that, no matter where you come from, if you have talent and drive, you just might get to stand in front of an audience of millions, as David Archuleta, Carrie Underwood, and Kelly Clarkson did- to initiate a career doing what you love to do most- SING! What most people who audition for American Idol, The Voice, America’s Got Talent, or other such shows don’t realize, however, is that for the vast majority of singers a solid foundation in vocal technique is required in order to have the vocal stamina to make it to the end of a very challenging and grueling competition. It’s one thing to sound good in your bedroom, at a party, or in your high school musical, and another thing entirely to have the consistency required for a professional career as a singer. The vocal requirements needed to rehearse all day, learn new songs and arrangements on the spot and be singing them live in front of a camera and live audience a few hours later, to sing every day for hours at a time without losing your voice and still sound totally fresh for the show, to tour and travel and be able to get off an overnight bus or plane trip and still sing, to be constantly using your voice in rehearsals and performances- just the sheer vocal stamina and consistency required to function in that arena are a huge step above what most people realize when they fantasize about being a star. I can’t count the number of times I have gotten a phone call a week or a month before the local auditions for American Idol, The Voice, or The X-Factor are held. On the other end of the conversation is someone who wants “a few lessons to get ready for the big audition”. To me that is comparable to working out for a few weeks and then thinking you are ready for the Olympics. I am not sure where this kind of misguided thinking started, but I am fairly certain that it is a recent phenomenon. The “reality TV” (and reality is a word that is used very loosely) shows like to promote the magical thinking that talent is a gift and no hard work is required. The national mood has shifted quite far from our Horatio Alger origins (hard work and lots of it will bring you success) to entitlement and a complete disconnect from the reality of what is required to succeed in the often grueling music biz. I love the business, but, the truth is you need a LOT of training and preparation, and a LOT of stamina because there is a LOT of competition. That means if you intend to compete- and win- on one of these shows you need to train your voice for at least a year with consistent lessons and daily vocalizing before you even attempt one of those auditions. If you do make it past several elimination rounds and onto the show you now have to consistently deliver perfection- every single time you sing, or be prepared to be embarrassed and eliminated. All singers should know that good voice training includes exercises and is not just singing songs. Singing songs is undoubtedly more fun than practicing exercises, but will not develop, improve, or change the voice. Vocal development occurs with a scientific approach that emphasizes strengthening both the lower and upper registers and blending those registers using an approach called mix. Building good practice habits will require consistency and focus, and, like eating your vegetables or brushing your teeth, may not be your favorite thing to do. But the results are worth it! And the fun of singing songs well does happen, too, but as a result or payoff of good practice habits, built over time. In other words, it’s earned. It seems to me that there is a misunderstanding about how great singing happens. The most frequent misquote I hear is “either you have talent for singing or writing songs, or you don’t”. I think some artists promote this idea by claiming they have never studied voice, when in fact, they have studied with a teacher for years to develop and hone their craft. Apparently they would like to promote the idea that their gifts are “natural” and you shouldn’t have to work hard at singing if you are really talented. Any artist who has sustained a career over time has worked hard at developing and maintaining their vocal instrument. In fact, the right vocal teacher and a good, disciplined practice routine is the primary determinant of whether an artist’s voice will hold up under the rigors of daily performing and touring. And the time to start is before the career happens. By the time you are touring and having to sing daily it’s really difficult to correct your faulty vocal production. At that point your voice is always tired but you are expected to perform anyway. That is why many careers fizzle before they take off- untrained singers are bound to experience vocal issues due to lack of preparation and vocal training before the stresses of a career begin. Even super-talents like Adele, John Mayer, Keith Urban, Whitney Houston, and many others experience vocal trauma due to vocal over-use and abuse that could have been prevented with proper training. Good voices and solid vocal technique are built slowly, over time, using a scientific approach to exercises that build, balance, and registrate the voice, increasing power and control with sustained and consistent practice and work. Classical singers understand this- the idea of taking only a few lessons before a big audition would be laughable to an operatic singer. Daily discipline and practice are part of any real musician’s lifestyle. I wonder why pop singers get the idea that their art form would require less? I consider singing to be similar to athletics. Athletes understand that training their bodies and muscles is of primary importance. And staying in shape is vital. Athletes work with trainers and coaches who design workout routines that will maximize their performance ability. In the same way, good vocal training with a teacher who really understands the science of vocal development and mix singing will build the small intricate muscles of the voice so that the singer is free to emote powerfully when performing a song. When singers are confident that the voice will always work they become much more free and emotional in their singing. Stage fright is paralyzing to a singer and is a result of fear that the voice might crack on high notes or might otherwise not function correctly. This can be avoided with good vocal training and preparation. Another misguided approach is the person who is so “gung-ho” when they get into singing that they over-do it, spending hours a day singing incorrect versions of vocal exercises, making up their own exercises, cruising the internet for often erroneous information, or singing all their favorite songs over and over. These people eventually burn out and get frustrated because they are trying to accomplish too much in too short a time without the tools of vocal technique. They usually have a specific singer in mind that they are trying to emulate, but are incorporating excessive muscle when trying to do so. They think they will speed things along if they “do more”- more hours, more loudly, cruise the internet for often erroneous information, take bits from every so-called “expert” on the internet, make up their own ideas of vocal training, etc. This is a colossal waste of time. Find the right teacher or training method, and focus on that. 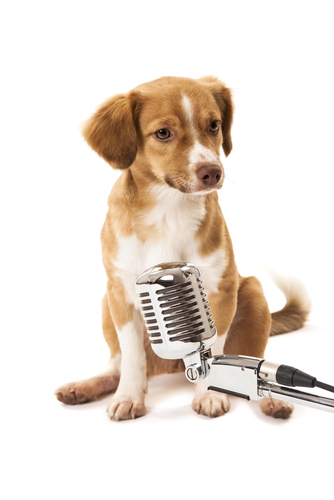 Record your voice lesson, and sing along with that recording every day, with focused attention. We cannot pressure our voices into doing what we want them to do. The voice is a system of small muscles that can only handle so much air pressure. We want to build the stamina and power of this system by exercising the muscles correctly. When you first begin training, singing more than an hour a day will probably start to tear down the muscles instead of building them. If the voice feels hoarse and continues to be hoarse on the day following a practice session, rehearsal, or recording session, that means there is swelling or edema that is an indication of singing too loudly or too much. Professional singers whose voices are correctly developed can of course sing for much longer periods of time; vocal stamina is built up over time just like everything else. Rather than having the objective be to get on American Idol, The Voice, or The X-Factor, a true artist’s goal should be to evolve into the best singer possible, over time. In today’s ‘give it to me NOW’ culture, that kind of attitude is a rarity, but that is the approach that will actually succeed. Consistency and patience combined with the right vocal technique will get you there! I have a sign in my studio that says “There are no shortcuts to any place worth going”. That saying is attributed to one of America’s most successful opera divas, Beverly Sills. Daily, consistent practice of technique exercises (about a half hour per day to start, building up slowly) over a period of a year will totally transform a voice- if you are studying with a teacher who understands how to teach mix and balanced registration. When you have put in the daily work over a period of time the payback is so incredible that you become inspired to continue on to greater heights of vocal achievement. If being a star or getting on American Idol, The X-Factor, or The Voice is your only objective you are likely to be disappointed, particularly if you have not spent a great deal of time and invested in professional training to work toward these goals. There are a lot of people out there who have the same goals, who DO work at it daily and prepare for years for their big break. Remember- once you get on a show or your band does get a record deal, now you as the vocalist are expected to deliver a flawless performance- every time. Unless you have trained and prepared for “The Olympics” of singing you will not be much of a competitor when the pressure is on. Getting on the show or getting a record deal means nothing if you can’t consistently deliver the vocal goods under pressure, every time. Your goal should be to develop your particular voice and unique talent to the greatest degree possible through consistent daily vocal workouts. Once you have done that you will be amazed at the doors that will open for you! It could well be getting on to one of the shows mentioned above, or it could be learning to write your own songs and releasing your own CD, or it could be getting the lead in the high school or community theatre musical, or leading the praise team at church, or it just might be landing the almighty Record Deal. Make it your daily habit to train your vocal instrument, to work it for at least 30 minutes each day, standing in front of a mirror to monitor your posture, breathing, and alignment, singing along with prescribed vocal exercises designed to address your specific voice category, such as the exercises in this program. How to practice: Record your voice lesson. Stand in front of a mirror and play the lesson. Make sure the volume level is sufficient. If you are using a phone it will need to be plugged in to an amplifier in order to have enough volume. Sing along with the exercises in the lesson with deep, focused attention, working on developing specific skills. Record yourself practicing, listen back, evaluate your progress, and try again, with deep focused attention. Do not make up your own exercises or try to play along on the guitar or piano. Focus on your objective for that day. Once you have done at least a half hour of training with vocal exercises, work on a song. You should notice that your voice is in a much better and more balanced condition than it was prior to vocalizing on the exercises. Spend more time on the exercises than you do on songs, at least in the beginning. Until you have created good vocal habits and they are solid it is better to do more vocalizing on technique exercises than singing. Once your technique is established and your voice is functioning well you can spend more time on the songs, gradually building up to longer practice sessions. Always begin every practice session with at least 20- 30 minutes of technique training before singing your songs. If singing a song causes your voice to fall out of a balanced condition you can address that with specific exercises. A less-than-ideal way to practice for the time challenged is to sing along with a recorded lesson while driving in the car. It’s not as good as standing in front of a mirror but it’s better than nothing. Deep learning occurs with focused attention and reflection; it is much better to structure your schedule to make time for practice with focused attention. To up your game further, take a weekly voice lesson. Put yourself in the hands of a qualified voice trainer who understands the mix. Be patient, daily, and consistent. With the right training and consistent commitment to daily practice you WILL see results. And when that big opportunity comes around you will be ready and you will be successful!